Half a century ago this week, the Apollo 9 crew was performing final simulations of their mission, which was scheduled for launch February 28. This photo shows the astronauts in the command module simulator at Kennedy Space Center on February 23. 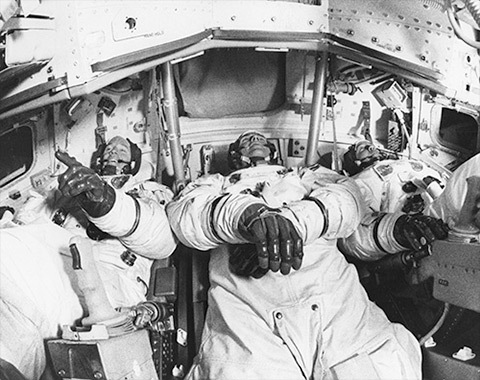 Left to right are Rusty Schweickart, Dave Scott and Jim McDivitt. I remember being disappointed that the original launch date was pushed back from Feb. 28 to March 3 when the crew came down with colds. New launch date was after our winter recess was over and back to school.